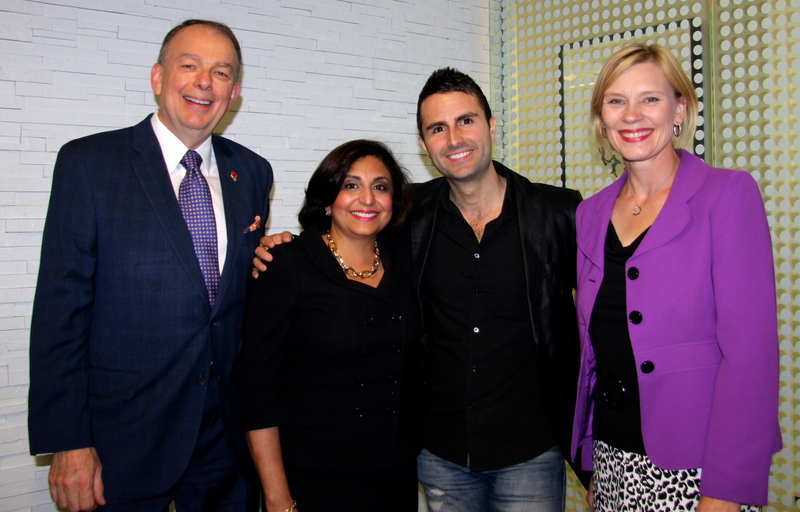 Roma Moulding CEO, Tony Gareri, took part in Recharge 2014, a one-day summit for leaders offered by The Executive Roundtable that took place at the SHAMBA Foundation on Yonge Street in downtown Toronto. Speakers at Recharge 2014 included Charles Brown, Naseem Somani, Tony Gareri and Glain Roberts-McCabe. Gareri was part of a CEO Panel that also featured Charles Brown, President of The Source and Naseem Somani, President and CEO of Gamma-Dynacare. The Executive Roundtable is an organization dedicated to assisting leaders fulfill their potential. They offer a variety of coaching and mentoring-based programs designed to equip mid-career leaders with the immediate tools, strategies and insights they need to excel in the near-term, and the life-long mindsets they need to maintain momentum and continue their career success. Way to go Tony! Spread that message and blur those lines! Way to go, Tony! This is a pure example of excellent leadership! Congrats on being involved with spreading the word on how the right culture can be a huge success for any business. It’s great that you can speak with confidence as well as from the heart as you are living proof that it can be done!